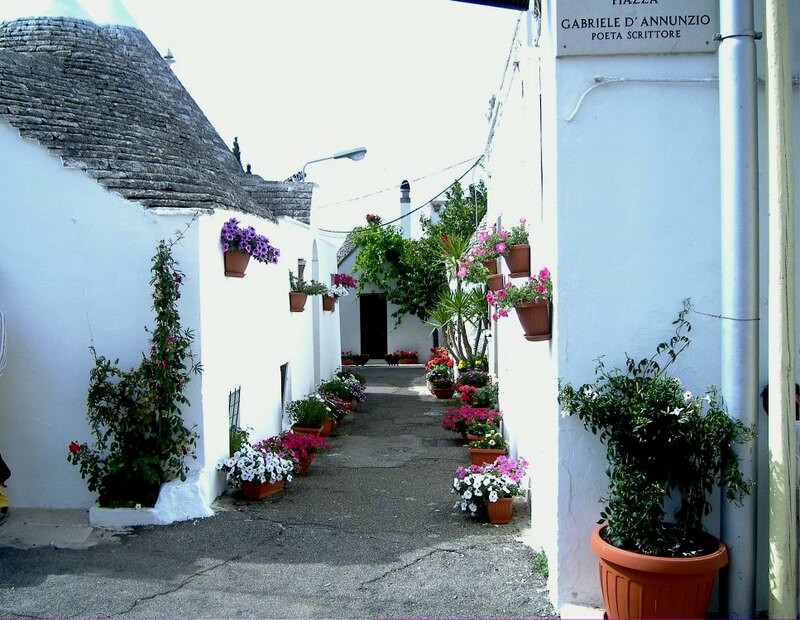 During our road trip we spent a day in Alberobello which is a town in the province of Bari in the Italian region of Puglia. 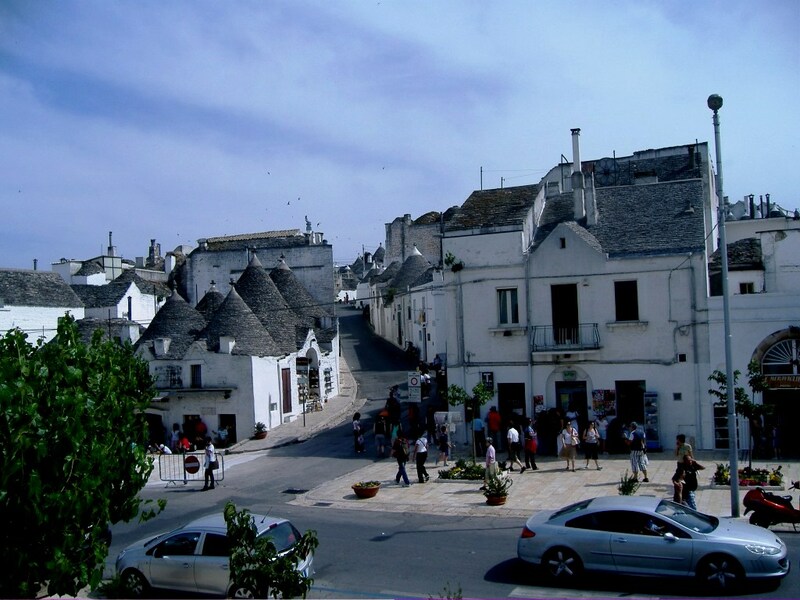 We drove to Alberobello by car from Bari which took us just under an hour. It was an easy and pleasant drive. 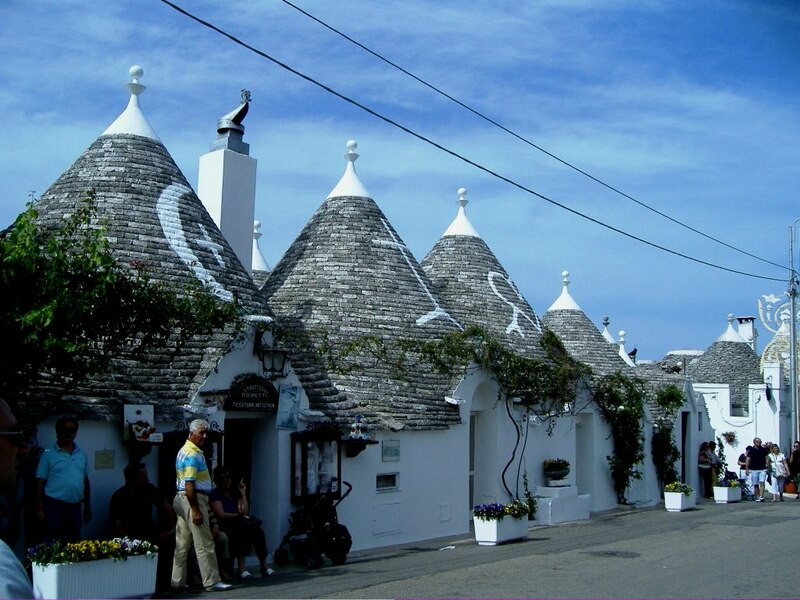 Alberobello is famous for its fairytale like 14th century Trulli huts. 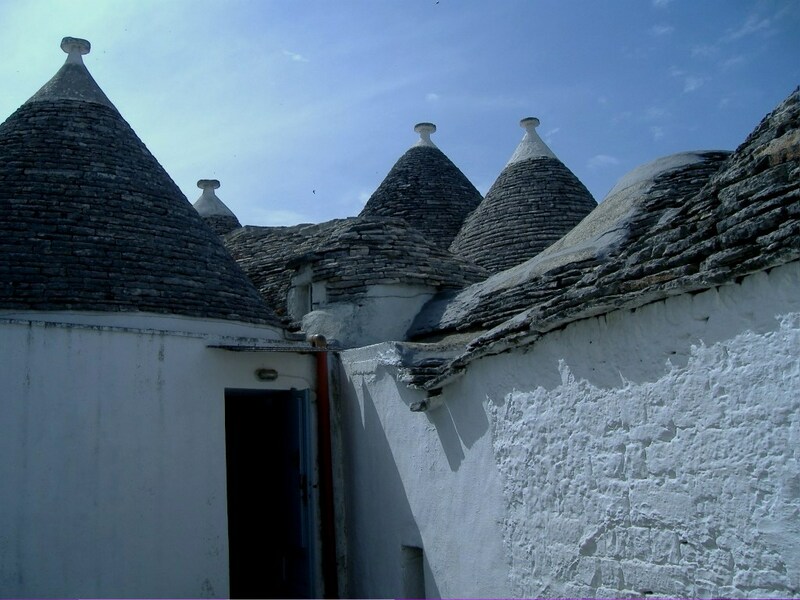 It is actually known at the Capital of the Trulli. 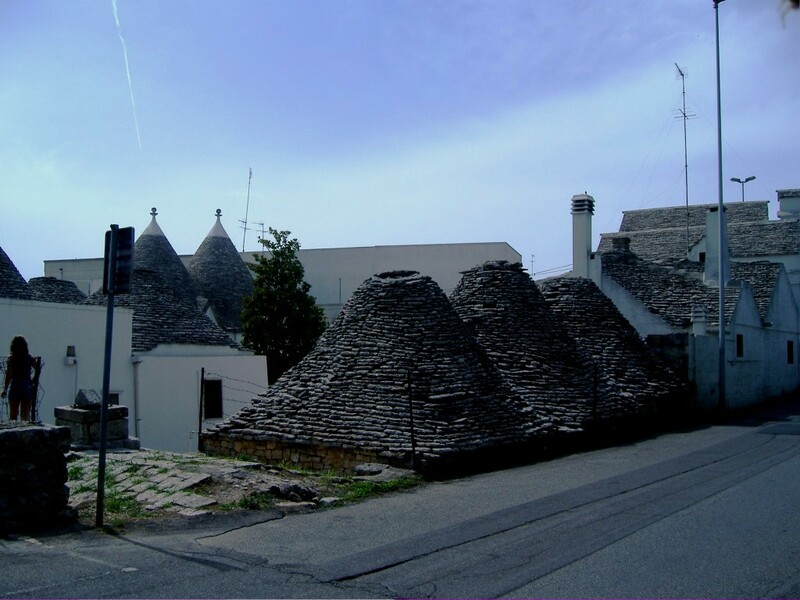 The trullo is a fascinating architectural feature of this area of Puglia, a building with conical roof made without mortar. 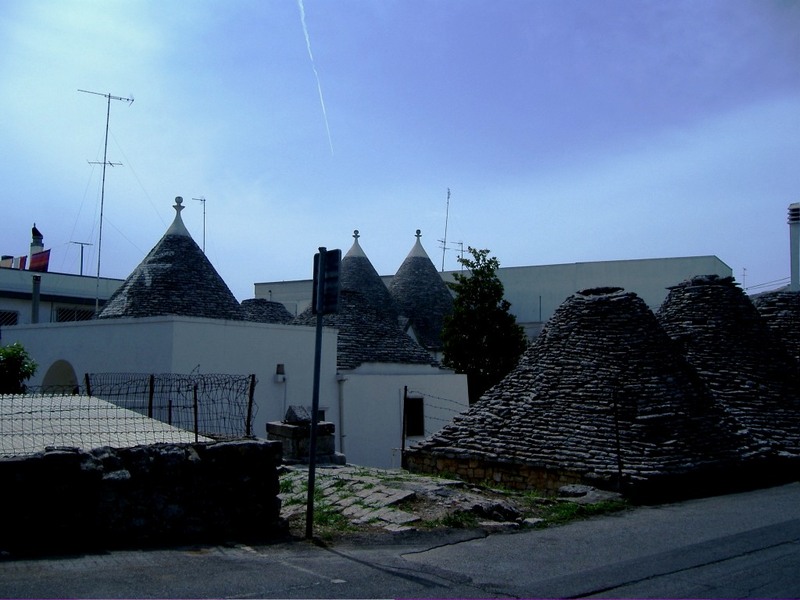 Some of the trulli are now used for stores, restaurants, and lodging. Many are still inhabited by locals, who are very friendly to visitors. 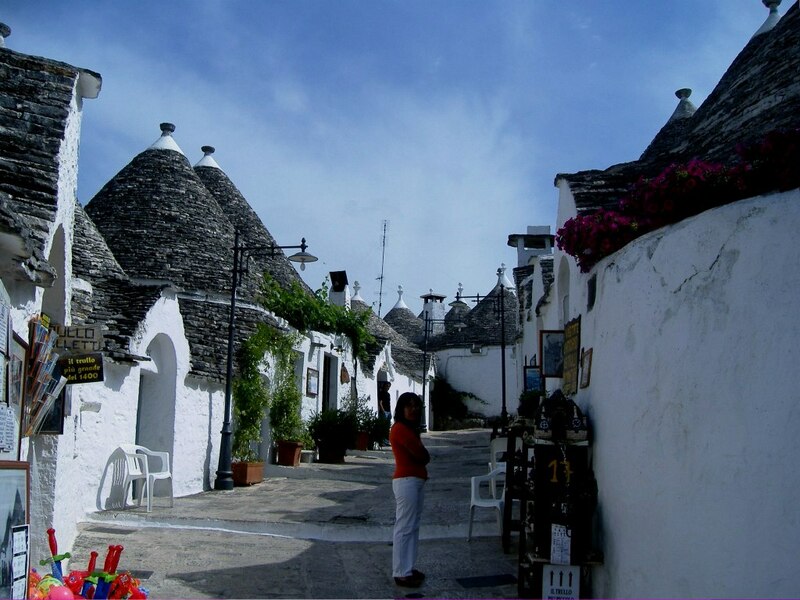 Although it is a popular tourist town, it is mostly the Italians who visit this amazing place. 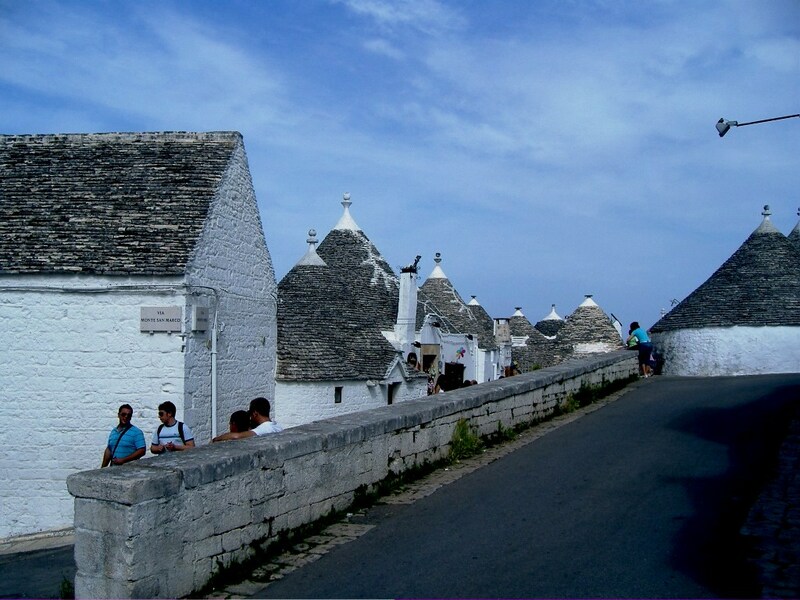 It is not so easy to get to from the west coast which means most tourists do not make the effort to visit there. On arrival we stopped for lunch at a typical agriturismo which had a set menu. Food was very good, including a huge variety of antipasto della casa, very fresh meat well cooked and house wine. 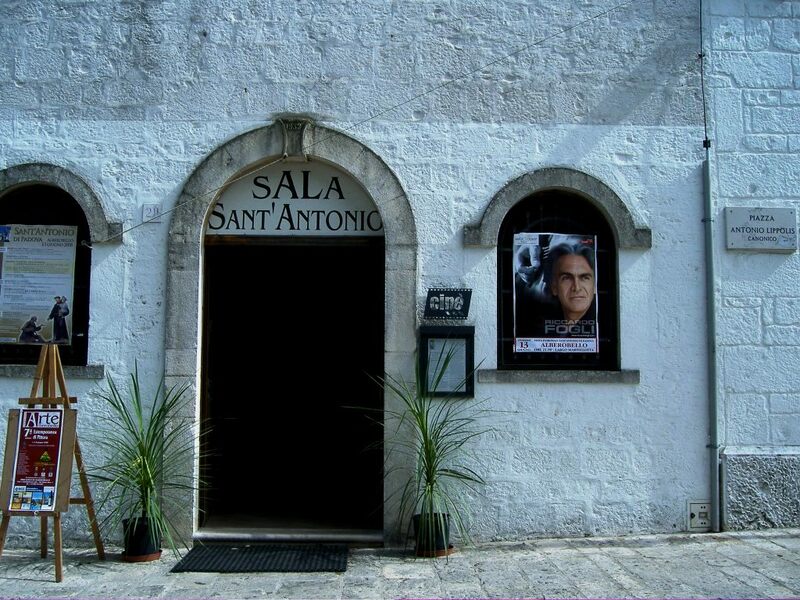 However once we arrived in the centre of town we realised that we could have eaten there. 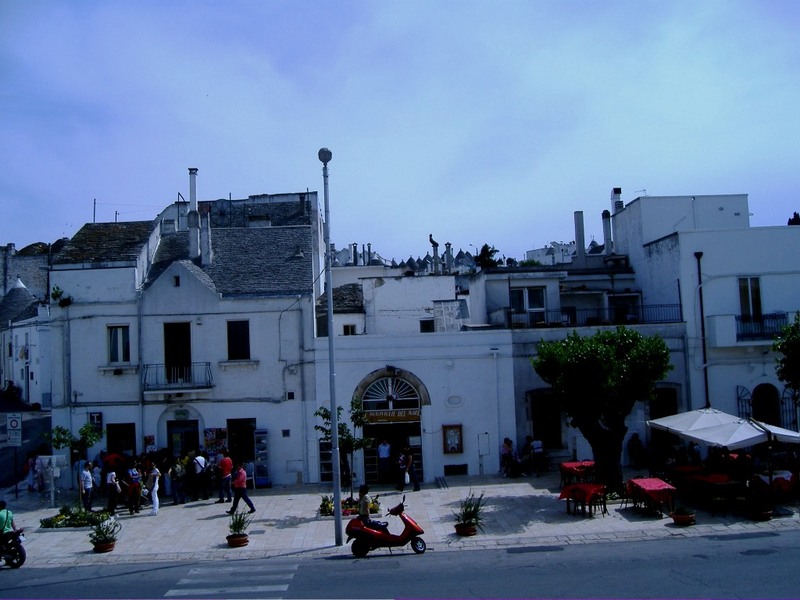 It was a wonderful town with many restaurants, bars and cafes which mostly cater to tourists but it is not too hard to find restaurants serving typical local meals. 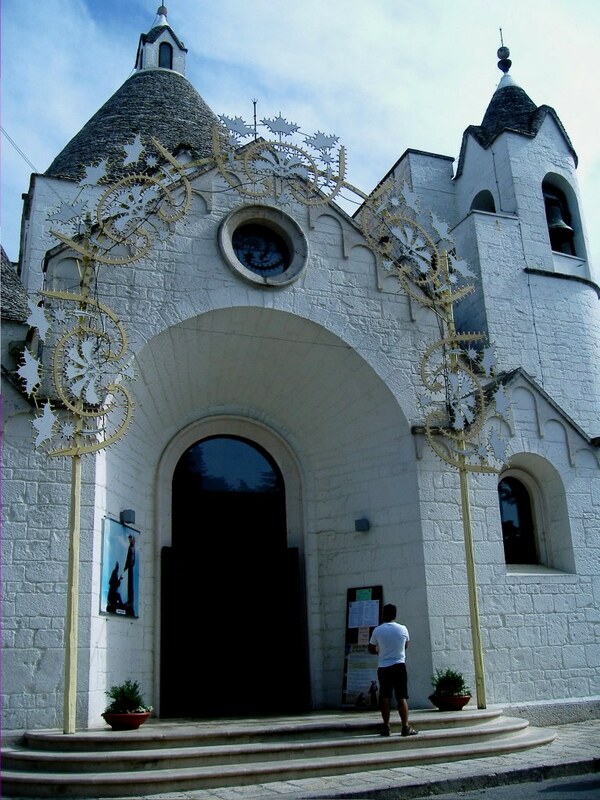 There are great little shops in the trullis selling souvenirs of the trulli models. 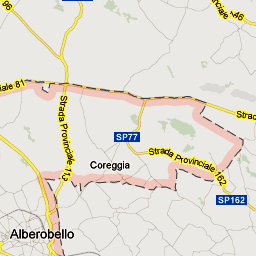 Also, you can buy local goods such as cheese, sausage, spreads, cookies, wine grappa. 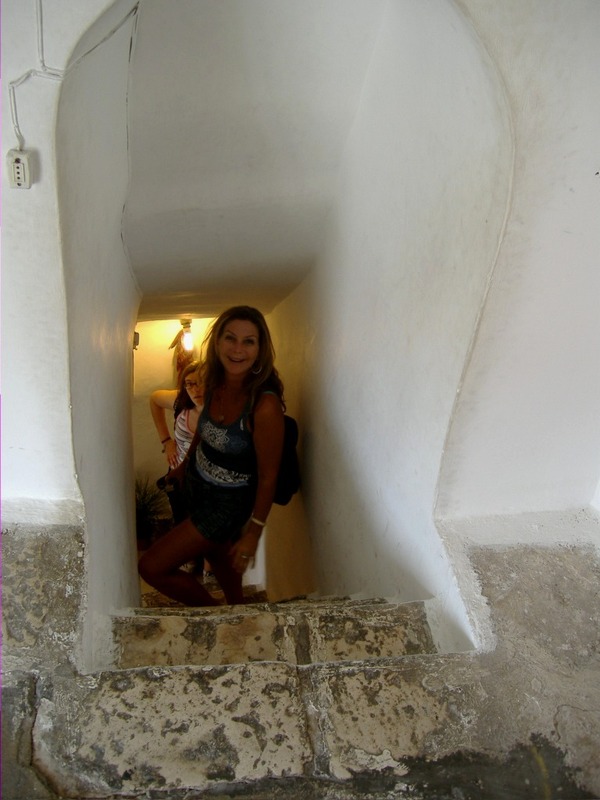 Some give you small samples or sell you a full glass of wine for a couple of Euros. 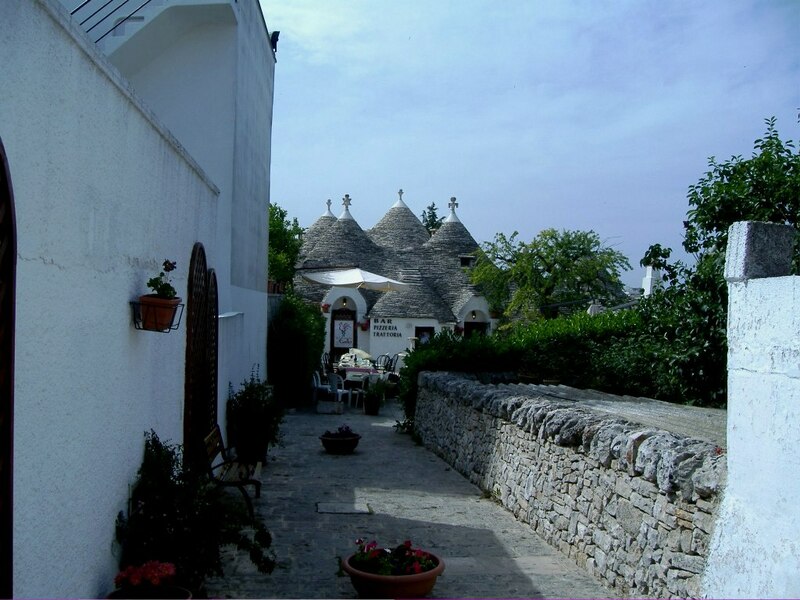 Alberobello’s attractions are all within walking distance so we wandered around for a few hours. 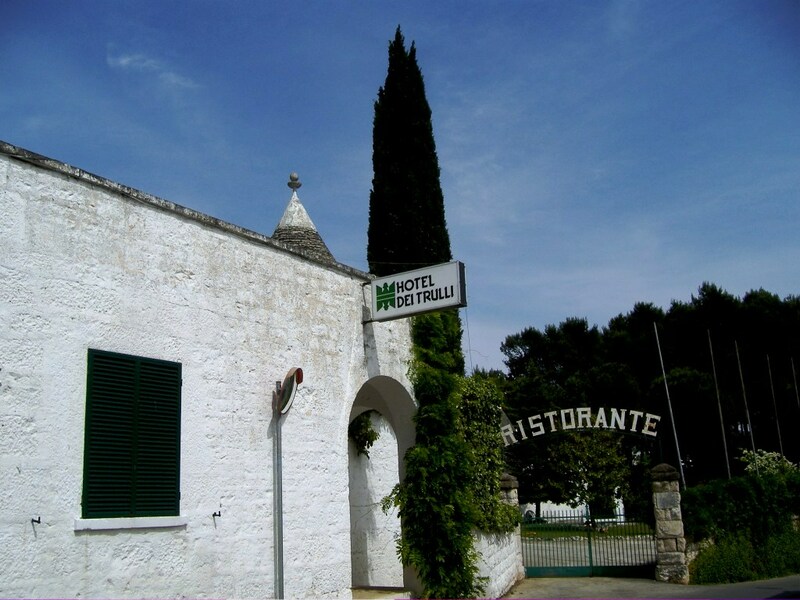 There is a good choice of accommodation including B&B’s, apartments and hotels ranging from about 30 euro per night. 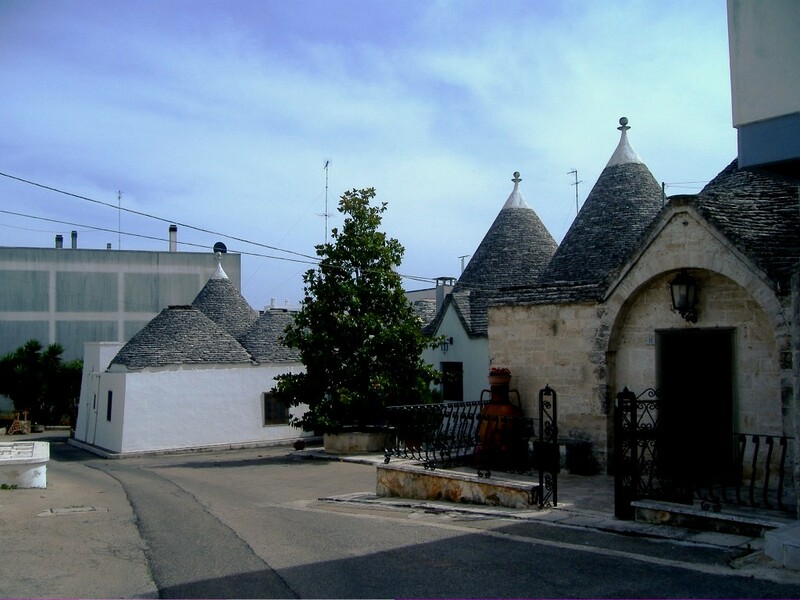 PS Trullis is the plural version of Trullo.